There is a miscarriage of justice ongoing presently within the commonwealth of Kentucky and we wouldn’t be doing our job if we didn’t call immediate attention to it. There are Class of 2020 linebackers getting offered across the commonwealth, left and right; but the commonwealth’s best 2020 linebacker is sitting around not only un-offered, but going under-recruited. It’s a travesty, it’s a damn shame, but for the right school it represents one whale of an opportunity to swoop in and get a commitment from an undeniably-framed-out, FBS, Power-5 player at an all too important defensive position. We hosted Grayson last summer at our All-State mountain combine in Pikeville, Kentucky. His performance in that combine was akin to what one would expect from a Beowulfian hero, not a high-school rising junior. Cook ran both his 40s in the low 4.5s with his first being 4.52 seconds and his second being 4.51. His fastest pro-agility shuttle (5-10-5) was 4.30 seconds and his fastest L-cone drill was the fastest at the entire combine at 6.5 seconds. Grayson, at that time (summer before his Junior year of play) was coming off a recent shoulder surgery and wasn’t slated to lift at all. Injured, he elected to jump on the bench and knocked out 6 repetitions at the high school rep weight of 185 pounds. We noted, at the time, that any defense aligned in a 3-4 as a base defense relies heavily on versatility in the linebacker corp. While the inside LBs are allowed to run to the football in the 3-4, the OLBs, where Grayson plays, have to make plays as edge defenders out of the stand-up, two-point stance. 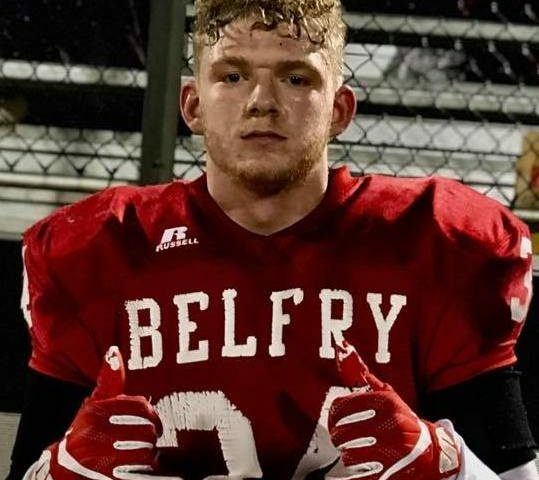 Grayson has consistently showed both while playing for Belfry High School and attending different combines, during either the one on ones orseven on seven portions, that he has the ability to rush off the edge, close the formation, or hold the point versus the strong-side run, while exhibiting the ability to make plays as a cutback defender, and also display the athleticism to drop in coverage. Grayson exhibited the speed and agility to drop into coverage and take away the 10-15 yard out with his speed and length, while still possessing the closing speed to get to the swing and screen pass, or the sweep or stretch in the outside ground game. Grayson was awarded Top Honors by our combine for his position and was one of the best pure athletes we saw on the Mountain. This past season, while missing two games with an ankle injury, Cook tied for third on the team in tackles with 86, collected 5 tackles behind the line of scrimmage and registered an interception. Grayson was 42 of 46 in PATs, and kicked a couple of field goals. 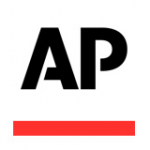 Grayson also handled the punting duties where he averaged 43 yards per punt-attempt, all for which he was selected to the AP’s All-State Football team. As a sophomore, Grayson registered 51 tackles, caught a pass covering 45-yards, and converted 19 PATs as a kicker. Grayson also blocked a punt. 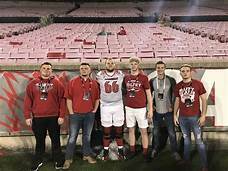 Grayson was selected a KPGFootball, sophomore, All-State football player following that season and honorably mentioned on the AP’s squad though only a sophomore at the time. So, there’s nothing wrong with his on-field production. There’s nothing wrong with his speed, quickness, athleticism (32 inch vertical; 9’10” broad jump, 19’6″ long-jump, and 40-foot triple jump in track & field), or versatility. There’s nothing wrong with his grades (3.6 GPA in advanced placement classes with a 25-ACT; he’s been invited to both Cornell and Yale’s Junior Days). So, his problem has to be frame, right? Maybe he just isn’t the body-type colleges seek to play outside linebacker. That’s, perhaps, the most curious part of the equation. His frame couldn’t be better. Grayson is 6’4″ tall, with an 80-inch reach, and weighs 220-pounds. That’s why KPGFootball is so astounded. That’s why we are so shocked. That’s why we are running this article for free. We believe the word has got to get out on this prospect. He should be getting courted with offers from every school playing an elite level of college football within a couple hundred miles of his home in the Kentucky mountains. Grayson was offered a full ride to come play linebacker at the prestigious IMG Academy. You know, the one in Bradenton, Florida which is considered the world’s largest and most advanced multi-sport training and educational institution. That arguably makes Grayson in the discussion for the nation’s top linebacker in addition to his being at the top of Kentucky’s 2020 linebacker prospects. Grayson, ever loyal to his mountain-Kentucky-roots and his beloved Belfry High School, spurned IMG’s overtures (where his being highly sought-after would have been a given as opposed to the present riddle) to remain patrolling the Pirates’ defensive second-level. So, here we are left wondering how all these linebackers across Kentucky are getting offered by the same schools who don’t appear to be recruiting Grayson Cook. Is it the remoteness of where his family has chosen to live? Is it a lack of publicity? Is it a fixable but gross oversight by the coaches assigned to look for Kentucky football talent? KPGFootball can’t answer it because it makes no sense to us. If it is a lack of publicity, please send this article around to every conceivable place you can to read it. We have given you everything you need…every measurement, every statistic, every accomplishment. Hell, here are his highlights (Grayson’s Junior Season Highlights) so you literally have no excuses. You guys need to find your way to Pike County, Kentucky. You need to find your way to Belfry High School. You need to find Grayson Cook. Man, are you going to thank us for our making your decision to recruit this linebacker way too easy. You’re welcome, that’s why we’re here, don’t be afraid to call on us in the future should the need arise! Next Post:Belfry’s Isaac Dixon (2021) is a Dog and his time is RIGHT NOW!